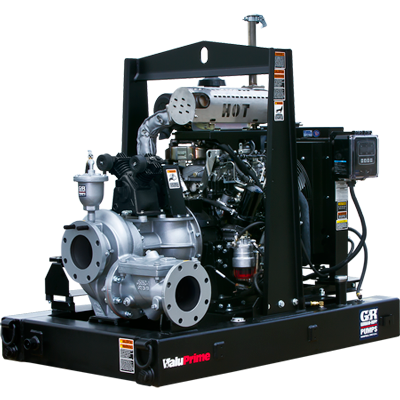 Gorman-Rupp’s new line of ValuPrime™ priming-assisted centrifugal pumps is designed to dewater your job site without taking a chunk out of your bottom line. For applications not requiring higher head and higher flow, VPA Series™ pumps offer the same quality components you have grown to expect from the experts at Gorman-Rupp. 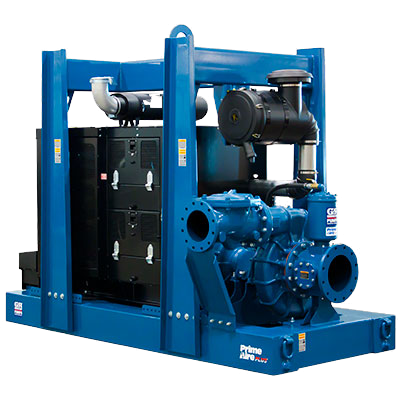 Prime Aire® pumps feature Gorman-Rupp’s patented priming system. The system uses a venturi and compressor, eliminating the leaks associated with traditional vacuum-assisted pumps. An oversized, oil-lubricated mechanical seal allows the pump to run dry continuously without damage. For positive, reliable priming time after time, Gorman-Rupp Prime Aire pumps are the ones you can count on. 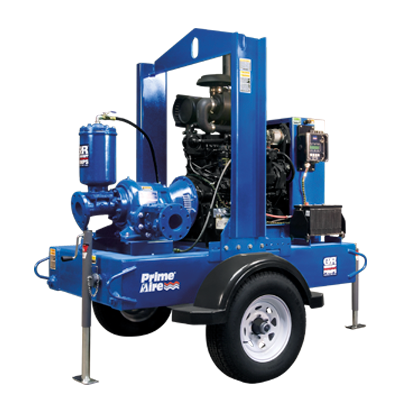 Prime Aire Plus pumps employ the same venturi/compressor priming system as the Prime Aire line. Increased head, flow and enhanced maintenance features are additional benefits of Prime Aire Plus pumps. Models feature sizes up to 8 inches and are suitable for both clear liquids and liquids containing large solids. All PAH Series pumps are available coupled to the latest EPA Tier compliant engines or premium efficiency electric motors.